The Seddon Makers Market is an outdoor AND indoor market. By applying, you are recognising that you could be allocated a space outdoors. Please consider this before applying. It is the responsibility of the maker to consider all weather conditions and have a market umbrella (or access to one) before sending an application. In fairness to others, the committee cannot accommodate special requests for indoors, marquees etc over everyone else. All NEW and EXISTING stallholders applying for markets in 2019 will be required to fill out the application. 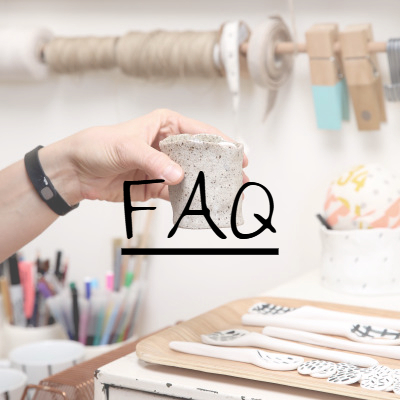 This is to ensure that all your contact and product information is up to date in our records and provides us with the option to promote any new products you might have created since attending the previous markets. Please note that selections & allocation of stalls are at the SMM Committee's discretion and are based on a number of variables as outlined in our FAQ and Terms & Conditions below. Before applying, please ensure that you have read both sections as once your application has been accepted and payment made, we do not issue refunds. As part of our stallholder selection criteria, the more proficient you are in furnishing your application with high quality, contemporary images and referencing social media to promote your products (including cross-promoting our market if you are successful), the higher your selection chances are, including repeat stallholder attendance. Check out some useful application tips in our blog. This collaborative approach helps us as volunteers manage the application process more efficiently, including how we use images and product descriptions for promotional purposes, and helps keep your stallholder fees down. Win-win for all! The MMG is proud to support our local community groups by offering the opportunity for a FREE stall at any of our markets. Please contact us via email at s.makersmarket@gmail.com for further information.